Come on in and go nuts! 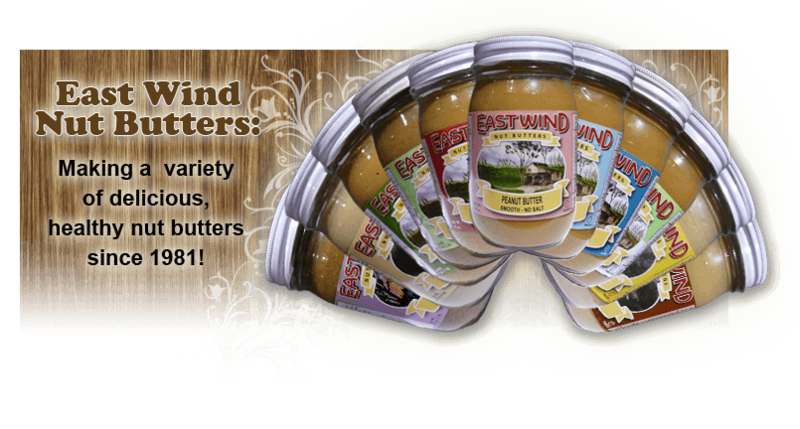 Discover the world of delicious, nutritious EAST WIND NUT BUTTERS milled and packaged in the Ozarks of Missouri, especially for you, by the EAST WIND family. East Wind Nut Butters is a worker-owned cooperative. We produce our nut butter in our own facility. As equal partners in our business, we take great pride in producing quality, wholesome natural and organic butters that are some of the best you will find, at the most reasonable price. Our line includes natural and organic nut butters in many varieties to savor as spreads or to use to enhance your favorite dishes and desserts. It’s peanut butter-n-jelly time! So bite into our site and thanks for stopping by! East Wind Nut Butters recently received a satisfactory report from the Food and Drug Administration, the result of a November 2012 on-site inspection of our facility in Missouri. The report states that our facility meets and exceeds federal standards. 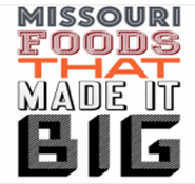 March 7, 2013 we were featured in the Columbia Business Times, along with other local Missouri companies. Check it out! 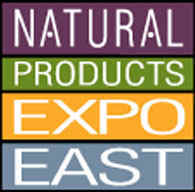 East Wind Nut Butters will be hosting a booth at this year's Expo East show in Baltimore, September 26-28!